Using the powerful Intel processor, the Mac Mini MB464LL/A desktop facilitates faster computing performance with multi-tasking capabilities. The integrated graphics processor in this Apple desktop facilitates outstanding graphical representations. The spacious hard disk offers plenty of room for you to store your everyday files and data in this Apple computer. 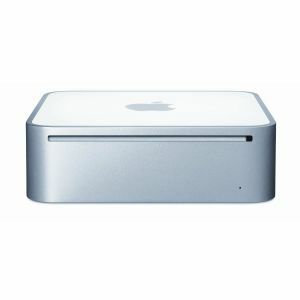 In addition, the built in RAM in this Apple desktop makes data processing fast and easy. Enjoy wireless networking, wherever you are, using the built-in Wi-Fi connectivity in this Apple computer. 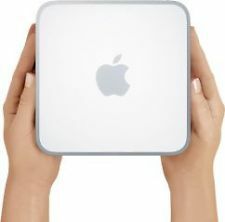 Also, the built-in Bluetooth in the Mac Mini MB464LL/A desktop lets you enjoy wireless connectivity with external Bluetooth devices, for added fun. 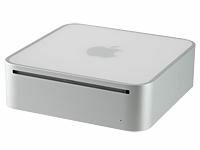 A three month warranty is issued as standard on all refurbished Mac Minis. For further information, please visit theWarranty Pages.